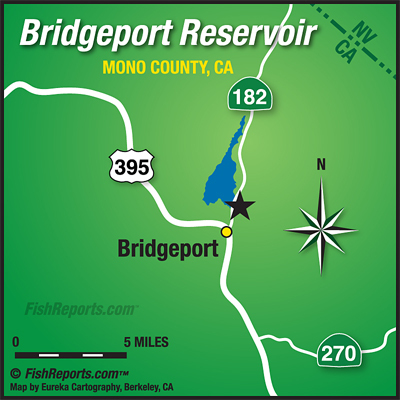 Bridgeport is still a little tough these days though there really hasn't been many anglers fishing out there lately. Boats need to be launched down near the dam ot the "Bathtub" as the water is low this time of year. The trolling reports have been ok with the best reports being 8 or 10 fish per day, mostly on small Rapalas, needlefish, Thomas Bouyants and crawlers. There has been a few good reports from bait anglers as well, over near Rainbow Point with mice tails, powerbait and crawlers. Haven't heard any good news lately from the shore anglers but as the weather cools the shore fishing should improve.